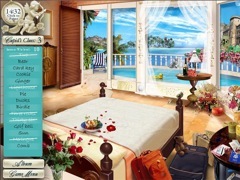 A romantic and fun twist on the "Seek and Find" game genre featuring bright colorful graphics, unique puzzle games, and extra "Wedding Crisis" levels that will throw you for a loop! 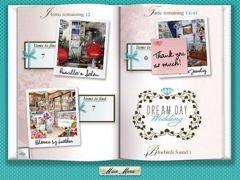 Plan a Dream Day Wedding for your friend Jenny in a beautiful, fun, and romantic game. 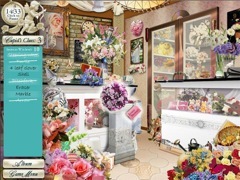 Use your keen eye and memory to find items at the flower shop, gown boutique, bakery, and other stylish shops to help make Jenny's special day a dream! Between shopping trips, play Perfect Match to help unlock the secret honeymoon level, or try Choose A Story - you'll decide what happened at Jenny and Robert's first meeting, on their first date, and of course the proposal! 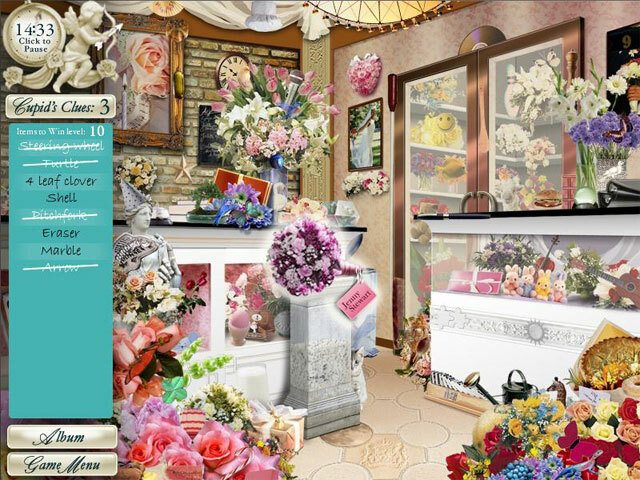 You'll encounter a wedding crisis or two along the way - solve these challenging levels and you'll get to pick the flowers, cake and dress for Jenny's big day!